SFI WP3 Presentation given at the NFA Autonomy Conference, Kristiansand, March 15, 2017. The entire conference program is available at the following link: Autonomikonferansen-2017-5. The Minister of Transport and Communications, Ketil Solvik-Olsen, opened the conference. See this link at www.nfaplassen.no. SFI Offshore Mechatronics was presented at the HyDrive workshop at Aalborg University on March 2nd, 2016. 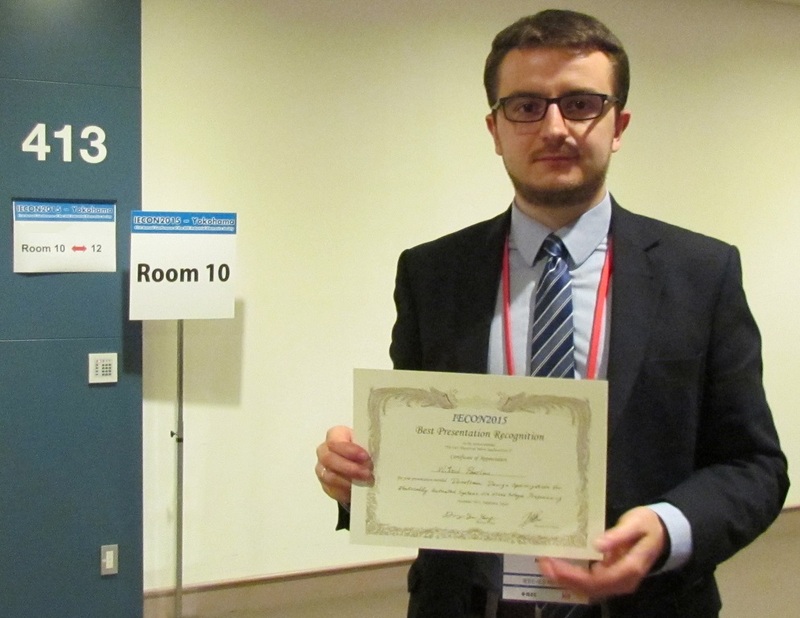 The industrial PhD candidate Witold Pawlus received the best presentation award at the IECON 2015 conference in the session “TS-140 Electrical Drive Applications”. The paper presented at the conference was: W. Pawlus, D. Frick, M. Morari, G. Hovland and M. Choux, “Drivetrain Design Optimization for Electrically Actuated Systems via Mixed Integer Programing”, 41st Annual Conf. of the IEEE Industrial Electronics Society (IECON2015), Yokohama, Japan, Nov. 9-12, 2015. The paper was a collaboration between the Automatic Control Laboratory at ETH Zürich, the SFI Partner MHWirth and the University of Agder. 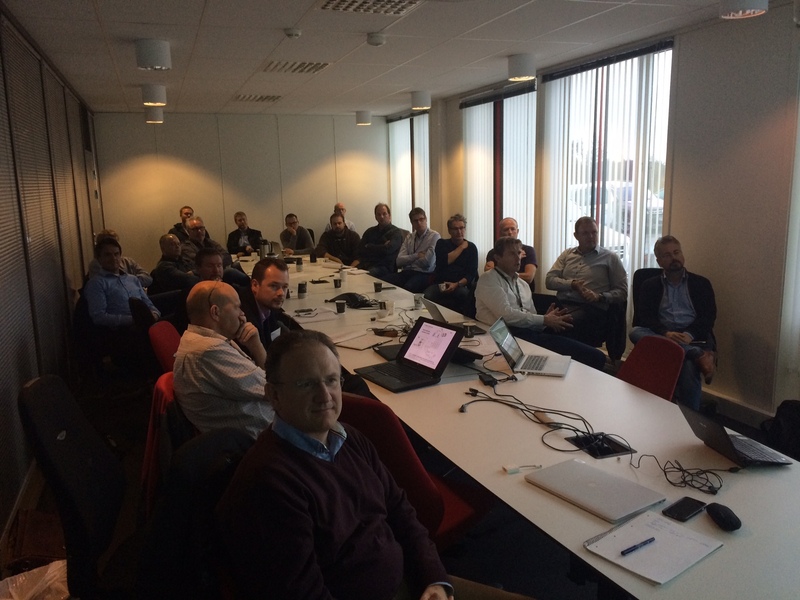 The WP leaders for WP 1-6 used all Wednesday Nov 4. to visit the four main industry partners in the Agder region: MHWirth, NOV, Cameron Sense and MacGregor. The purpose for this tour was to inform about the main research tasks in the project, get feedback for adjustment of the 2016 work-plans and to inform about the possibilities for employees in the companies to apply for PhD-positions within the different work-packages. The industry experience will be important to get a relevant research output, and applicants from industry partners are encouraged to apply for the PhD positions in the SFI Offshore Mechatronics centre. The first PhDs are already in place, and several positions will be announced in 2016. 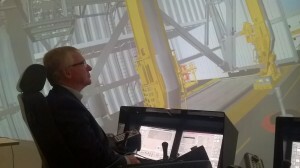 WP Leaders trying out the training simulator at NOV (Left: WP6 Leader Baltasar Beferull Lozano. Right: WP2/WP4 Leader Olav Egeland). Presentation of SFI Offshore Mechatronics at Gardermoen, Oslo for NFA’s Expert Panel. The purpose of this meeting was to identify areas where SFI Offshore Mechatronics can collaborate with other relevant research centres and activities in Norway, in particular within the area of Autonomy. Plans and initial results for sensor-based control of an industrial robot on a 6-DOF moving base. 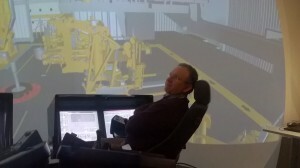 At Department of Automatic Control, Lunds University, Sweden. Professor Baltasar Beferull Lozano (Leader of WP6) presented SFI Offshore Mechatronics at the Offshore Data Community Workshop in Houston, May 7 2015.